Bob Avallone, the firm’s Managing Partner, is responsible for the daily supervision and management of Lewis Johs’ work in the areas of litigation, medical, professional and municipal liability defense, appeals, corporate practice, real estate and insurance coverage. Bob began his legal career in 1979 with a Manhattan defense litigation firm, and in 1981, he joined a large national law firm where he became Supervising Attorney of the firm’s New York Litigation Department. Throughout his career, Bob has lectured extensively to both public and private sector audiences, and at legal seminars, on a wide range of coverage and litigation related topics. Additionally Bob is an approved Guardian Ad Litem andReceiver, and acts as Counsel to Receivers for the New York State Unified Court System, practicing in the State, Surrogate and Federal Courts in New York. Bob Avallone serves as Special Counsel to the International Association of Bomb Technicians and Investigators. Martindale-Hubbell has awarded him its highest “AV” rating. In 2010, Long Island Pulse Magazine rated Bob a Top Legal Eagle in Suffolk and Nassau Counties for litigation. Bob currently serves on the Board of Governors for the New York State Unified Court System Attorney-Client Dispute Resolution Program. He also serves on the Board of Directors for the SUNY Geneseo Foundation, as a Trustee for the Centerport United Methodist Church, and is a member of the Dante Foundation of Nassau County, Inc., a charitable organization which provides scholarships for college bound students. Bob Avallone was admitted to practice in New York State and the United States District Court for the Southern and Eastern Districts of New York in 1980, the United States District Court for the Northern District of New York in 1997, the United States Supreme Court in 2001, and the Second Circuit Court of Appeals in 2002. 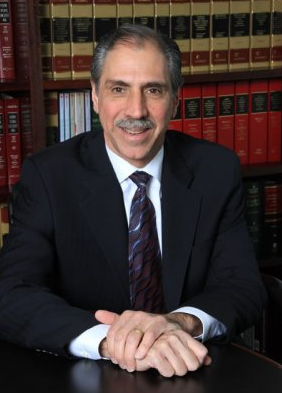 He is a member of the American Bar Association and its Torts/Insurance Committee, the New York State Bar Association, Defense Research Institute, Primerus Defense Institute and co-chairs its Insurance Coverage & Bad Faith Group, the Nassau County Bar Association and its Grievance Committee, the Nassau-Suffolk Trial Lawyers Association, New York Claims Association and Nassau Suffolk Claim Managers Council.